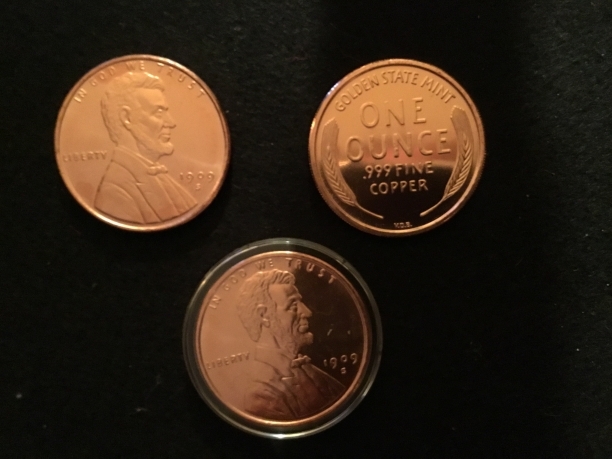 1 ounce of .999 fine copper. Makes very good stocking stuffer for kids/grandkids Christmas Stocking. 1 Ounce .999 fine copper 1909 Lincoln Wheat Cent Replica.